Local Rotary Clubs are asking locals to think of others at Christmastime. Dec. 14, 2017 11:30 p.m.
Langley’s four Rotary Clubs have combined forces with a club and a conservancy to make improvements to six medical clinics in Kenya. “As it’s coming up to Christmas, in this country we all have so much and need so little, while those in other countries have so little and need so much,” said Wayne Crossen, a Langley Central Rotary club member who has been closely involved with the project. “We should be mindful of the need to give to others at Christmas time,” he added. 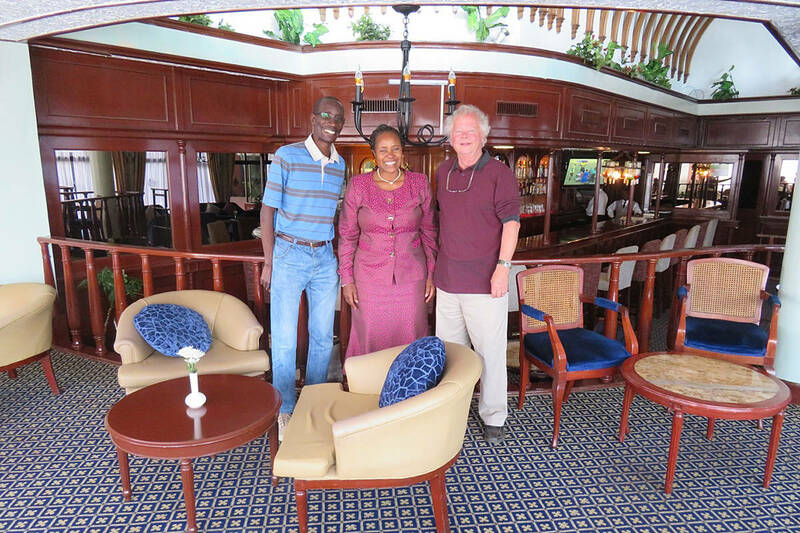 Crossen has travelled to Africa several times in the past few years to work on the Rotary project, and is planning yet another trip to Kenya in the coming year. The local clubs, bolstered by a $54,000 U.S. Rotary global grant, have partnered with the Rotary Club of Nairobi North in Kenya and the Ol Pejeta Conservancy to provide people living in rural communities in the foothills of Mount Kenya with better medical services. 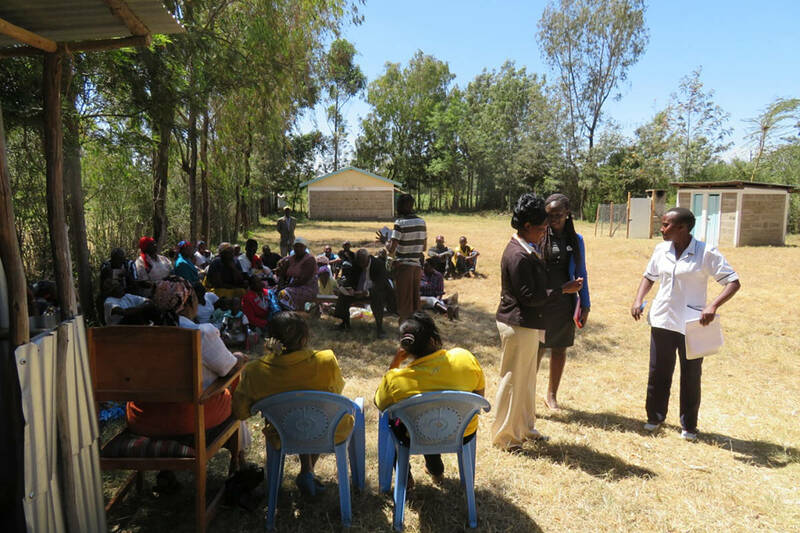 The project, expected to take 12 months to complete, came out of several years of planning with Kenyan health professionals and community leaders, supported by input from Lower Mainland medical professionals working with the local Rotarians. The top priority identified for the project was to ensure that all clinics have electricity and water. “That will enable the clinic nursing staff to store vaccines and medicines and to have lighting so they can cover night time services,” said Crossen. The improvements will especially help the clinics meet maternity and emergency care needs. In other cases, he explained, it will require installing an independent, modern solar-energy system to power pumps and to provide constant, reliable power to the clinic. In addition to upgrading power and water, the Rotary global grant will provide the clinics with additional basic equipment and supplies, such as baby and adult scales, refrigerators for storing medicines and vaccines, glucose meters, digital blood pressure monitors, autoclaves, portable examination lights, delivery and suturing kits, pulse- oximeters, and suction machines. In support of the project, Rotary World Help also shipped a 40-foot container of medical equipment and supplies that will be used in both the clinics around Ol Pejeta and at Nanyuki District Hospital. Included in the shipment are hospital beds, Stryker gurneys, linens, and other equipment and supplies. 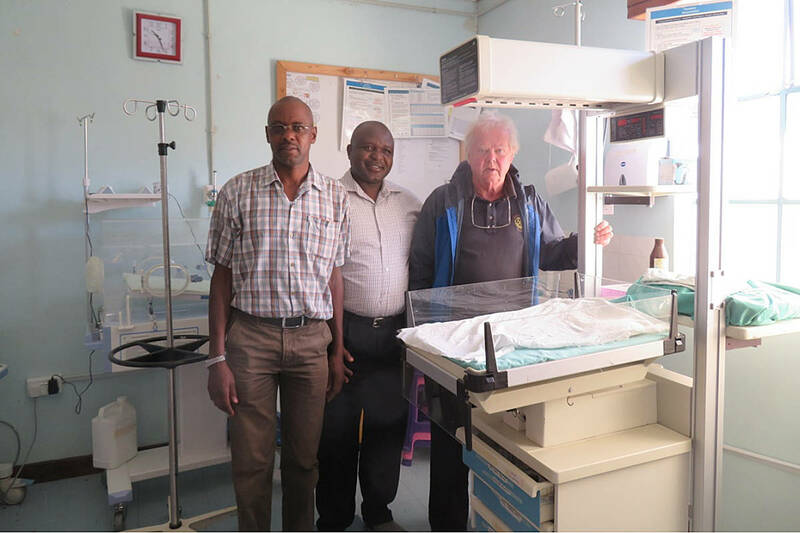 “They will be put to good use in new maternity buildings erected on the clinic sites,” said Crossen, who is also involved with the local Rotary World Help organization.